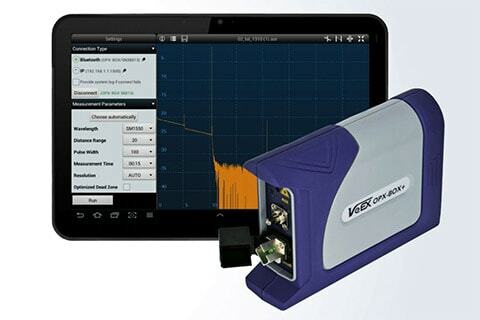 VeEX develops innovative test and measurement solutions for next-generation communication equipment and networks. 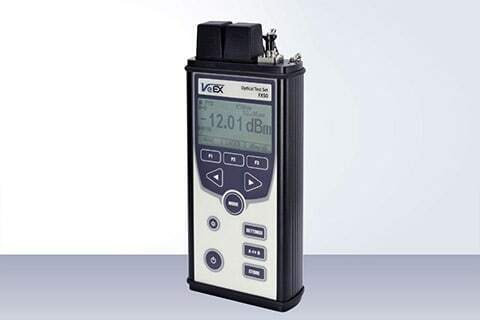 Founded in April 2006 by test and measurement industry veterans, VeEX products blend advanced technology and vast technical expertise with the discerning measurement needs of customers. VeEX products diligently address all stages of network deployment and field service turn-up and integrate Triple Play verification features across DSL, CATV, Mobile, and Metro Ethernet technologies. 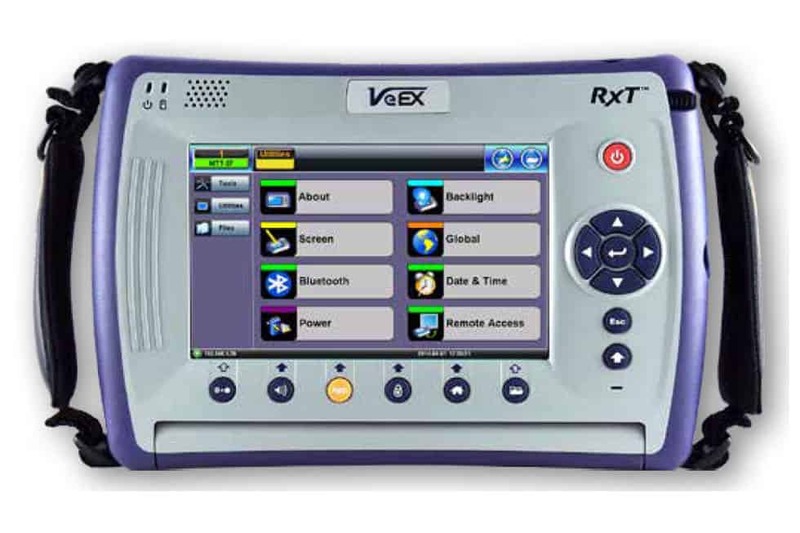 VeEX® RXT is the industry’s most flexible, compact, and futureproof hand-held test solution for core and field applications. The new and completely redesigned RXT modular platform addresses the challenges of communications service providers to increase efficiency and productivity. 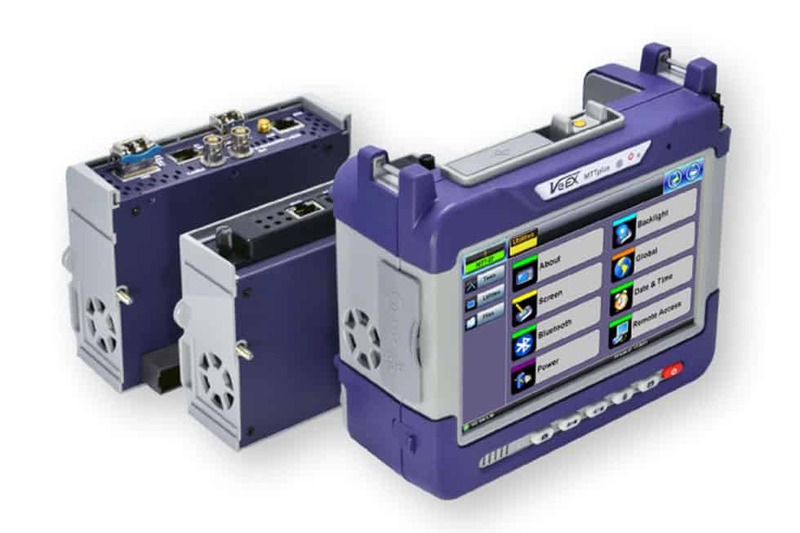 The UX400 is the most versatile portable multi-service transport test solution to offer a wide range of modules with test capabilities ranging from DS1/E1 all the way up to the latest 100GE and OTU4 network speeds, for a total of up to 600G traffic generation in a single compact modular chassis. The MTTplus platform builds on the legacy of the legendary MTT, providing a compact, powerful and cost-effective modular test toolkit for today’s wide range of evolving test needs. The flexible test platform lowers operational and capital expenditures associated with handling multiple technologies required to address today’s Access, Business, Carrier Ethernet, Transport and Core services. 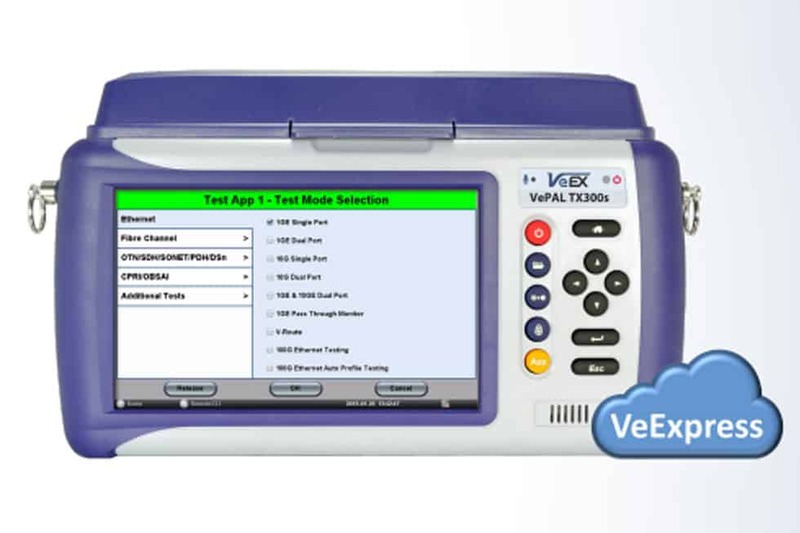 VeEX® VePAL TX300s Platform is a fully-integrated and self-contained multi-service test solution for OTN, SDH, SONET, PDH, DSn, Fibre Channel, Ethernet, Mobile Backhaul, CPRI/OBSAI and Fiber Optics networks. 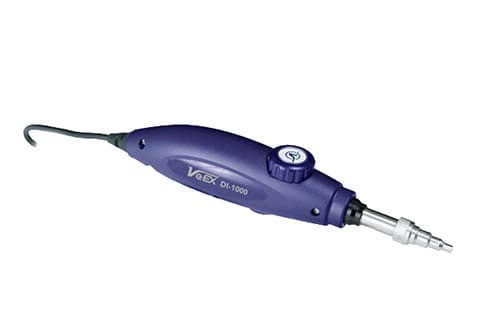 The ergonomically designed DI-1000 connects directly to VeEX test sets through its USB 2.0 port. The DI-1000 features an easy single-finger focusing knob, comprehensive list of tips and digital image sensor and optics with detectable resolution to 0.5 μm. 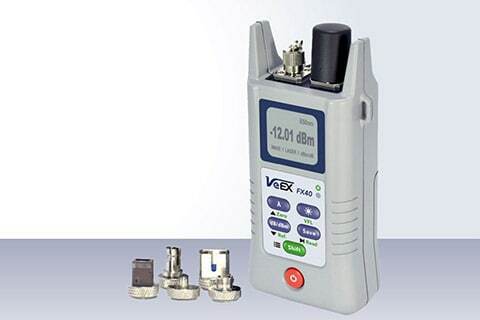 The OPX-BOX+ is an ultra-compact, OTDR designed to operate remotely using Fiberizer software. The unit can be controlled via USB or Bluetooth from Windows, MacOS, Linux or Android devices. 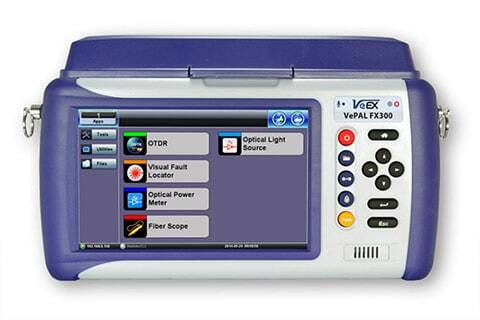 The VePAL FX300 is a full featured Optical test solution for technicians installing, testing, troubleshooting and restoring FTTx/PON, mobile backhaul, and related converged network infrastructures. 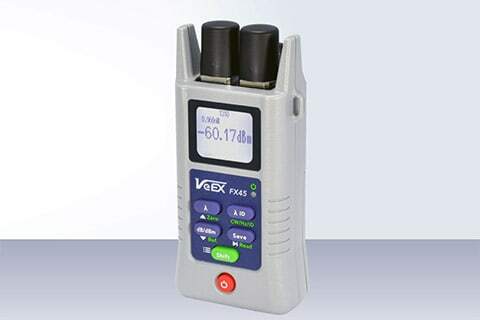 Key features include: Singlemode and Multimode testing, PON, Telecom, CATV and LAN/WAN applications and dual wavelength laser source and power meter options. 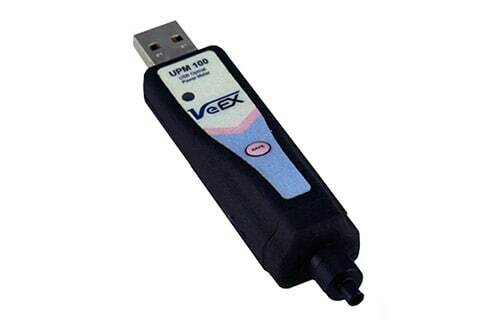 Similar to the FX40 Series, the features of the FX45 Series also include: high accuracy and wide dynamic range, the ability to save OPM measurements (> 1000 single results) with timestamp, and transfer stored results to a PC via USB for report generation, printing and Fiberizer Cloud upload. 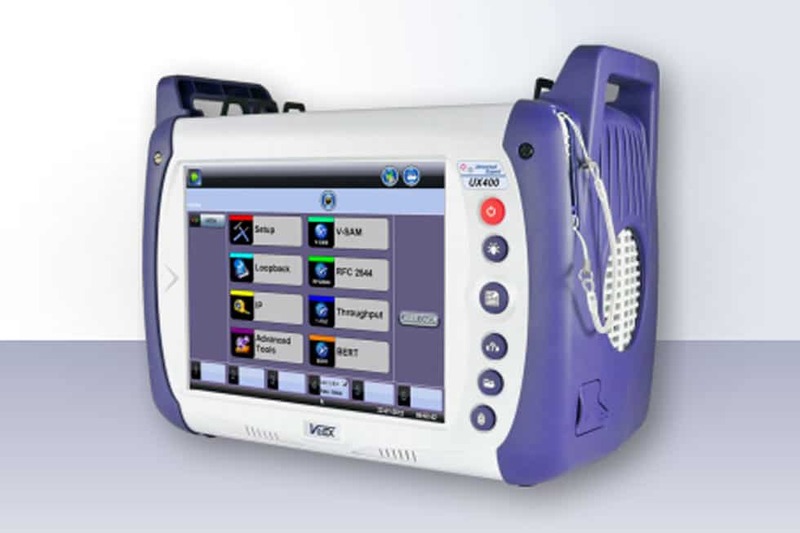 The OLTS is a premium, multi-function tester to measure Power, bi-directional Loss and Optical Return Loss (ORL) on fiber optic systems. This compact, handheld and robust device is ideally suited for a variety of test applications for todays’ Telco, FTTx and PON access networks. 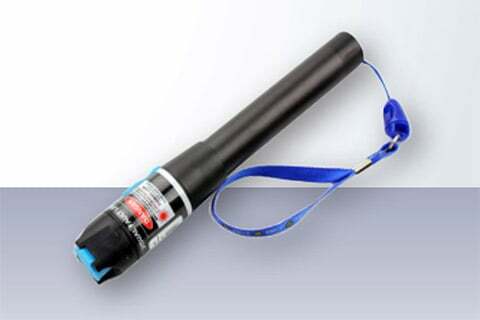 Features a small pen size for field applications and continuous on or 2 Hz on/off.